Isobel Dixon was born in Mthatha, South Africa. She studied English at Stellenbosch University, before pursuing postgraduate study at Edinburgh University. She now lives in Cambridge and works as a literary agent in London, returning frequently to Cape Town and her family home in the Karoo. She has been published in The Paris Review, The Manhattan Review, The Guardian, The Dark Horse and Prairie Schooner, among other publications. Her work is included in several recent anthologies: Birdbook I, Coin Opera II and Psycho Poetica (all published by Sidekick Books), Penguin’s Poems for Love, The Forward Book of Poetry, and The Best of British Poetry 2011. She is the author of three full collections of poetry, Weather Eye (Carapace, 2001), A Fold in the Map (UK: Salt, 2007; SA: Jacana 2007) and The Tempest Prognosticator (UK: Salt, 2011; SA: Random Umuzi, 2011), which J.M. Coetzee described as ‘a virtuoso collection’. In 2016 Mariscat published a pamphlet, The Leonids, and Nine Arches a new collection, Bearings. She has received numerous awards for her work, including the South African SANLAM Award for Poetry, the Olive Schreiner Prize and the Oxfam Poets for a Better Future Prize. Her work has been translated into German, Dutch, Spanish, French and Turkish. Isobel’s poetry combines biographical material with more abstract argument, in a range of tone and styles. Come along to the Camden Centre at 8.00 pm on June 20th. 2017 for another feast of contemporary poetry. This will be our last meeting in the Camden Centre, as we are moving to a new venue, starting in September – the Vittle and Swig, at 28 Camden Road, so not so far away! The room upstairs has a bar, so you can arrive at 7.30 to chat with friends and fellow members, and get in your drinks, or you can turn up for the 8 o’clock start of the poetry session. On May 16th. 2017, Jacqueline Gabbitas is our guest, both as reader, and as judge of the society’s Folio competition. The competition results will be announced, followed by readings of a selection of those poems, and then Jacqueline will be reading from her own work. Jacqueline’s poetry has been published in magazines and anthologies, including Poetry Review and The Forward Book of Poetry (Faber, 2010) and her short collections include Mid Lands(2007 Hearing Eye), Earthworks(2012) and Small Grass (2014) Stonewood Press. 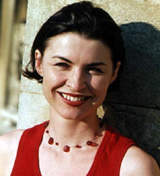 She was shortlisted for a New Writing Ventures award, received a Hawthornden Fellowship in 2009 and an Arts Council England Grant for the Arts (to complete a book-length environmental poem called The Book of Grass) in 2013. She has read at venues across the UK, including The Poetry Cafe, The Oxford Times Literary Festival, The South Bank Centre, and at festivals in Italy and Germany. She participated in Radio 3’s The Verb. Jacqueline has worked for The Poetry School, Enitharmon Press, and taught Poetry at Middlesex University. She acted as editor on Brittle Star Magazine and has facilitated group workshops, individual tutorials and mentoring for many years. We hope to see you at the Camden Centre at 8 o’clock to enjoy another varied and enjoyable evening of poetry. 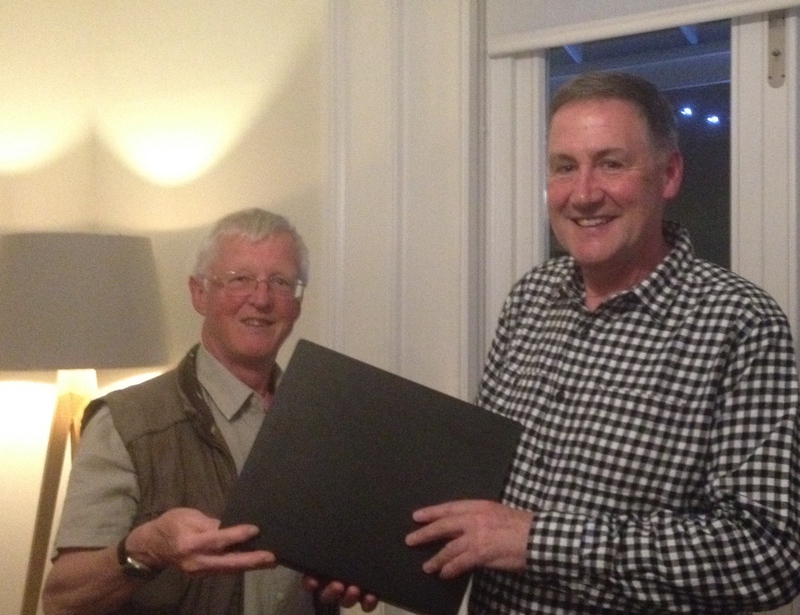 After 30 years with the Kent and Sussex, our chair, Clive Eastwood (L), is handing over to David Hensley(R). Clive and Caroline are going to live in Suffolk, but will be keeping in touch. We wish them much happiness in their Suffolk home, and we wish David success in his new role.